Gifts for anyone with a ready mind open to new ideas, and a passion for learning at any age. Willow Tree figures and angels make excellent gifts for teachers as well as students, graduates and retirees. Teachers help children learn and grow into the people they will become. Say 'thank you' to a teacher with a Willow Tree teacher appreciation gift. Use Willow Tree teacher figures as end of year teacher gifts, or just thank you gifts. The figures make a meaningful and memorable gift for teachers who will keep and display them throughout their career. 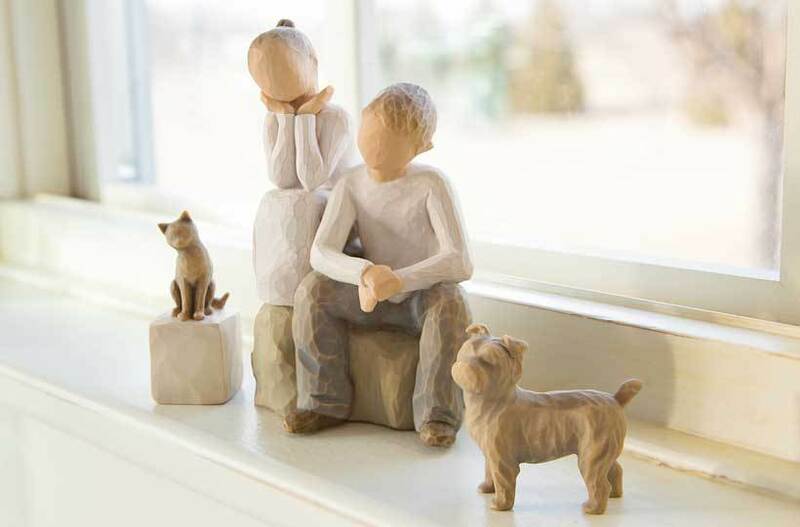 Since 1999, Susan Lordi has worked in partnership with DEMDACO to produce, market and distribute Willow Tree®, her line of carved, figurative sculptures. It's inpiring for Susan to hear how you feel about your Willow Tree piece. Your personal interpretation is so meaningful... thank you for taking the time to share it. I want to share my story on willowTree.com. I AGREE to the terms and conditions. I want to keep my story private, shared only with Susan Lordi and the Willow Tree team.